We offer top of the line entry door systems in steel or fiberglass. Our doors have composite frames that provide strength and rigidity and composite adjustable sills that prevent rotting, warping or deterioration over time. These doors also have steel reinforcement plates for added security, permanent waterproof adhesive and ball bearing hinges. 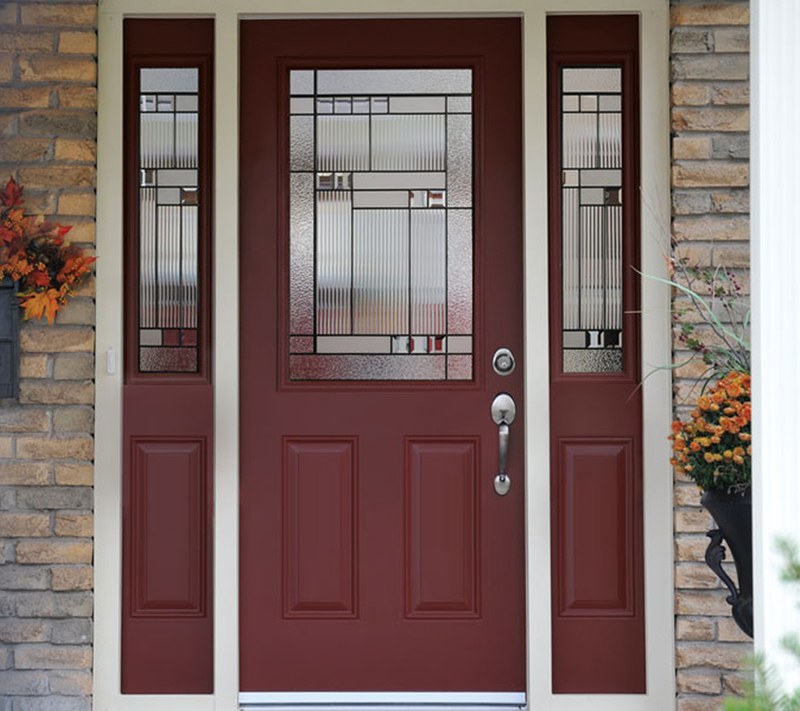 You can also add your own personal touch to your new entry door system with several door options, paint or stain options, glass and hardware options. Streamline Enterprises makes picking out your door system easy. Sit down with one of our trained and knowledgeable staff members to discuss your door options. They have the tools to help you visualize the perfect door on your home. They will help you with the entire process from start to finish. They will even make installation easy too. Contact Streamline Enterprises today for more information!